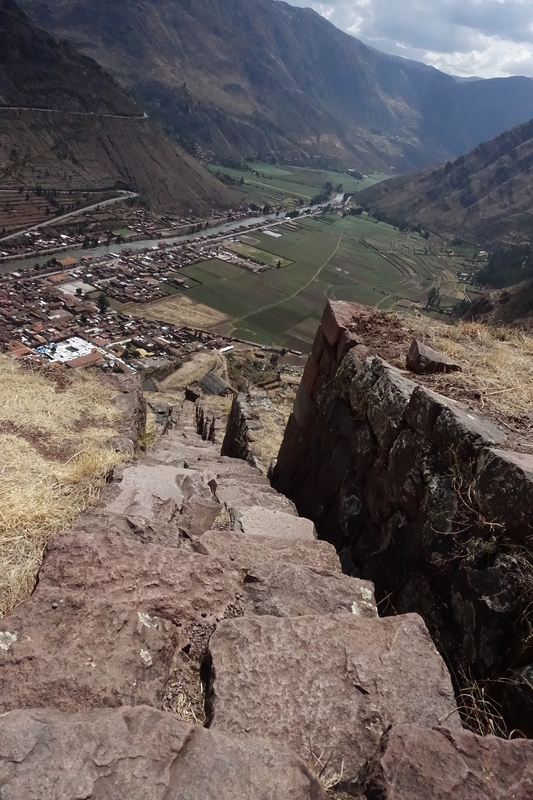 Sacred Valley – Pisac – ¡Vamos! The first 1.5 mile was really the hardest. 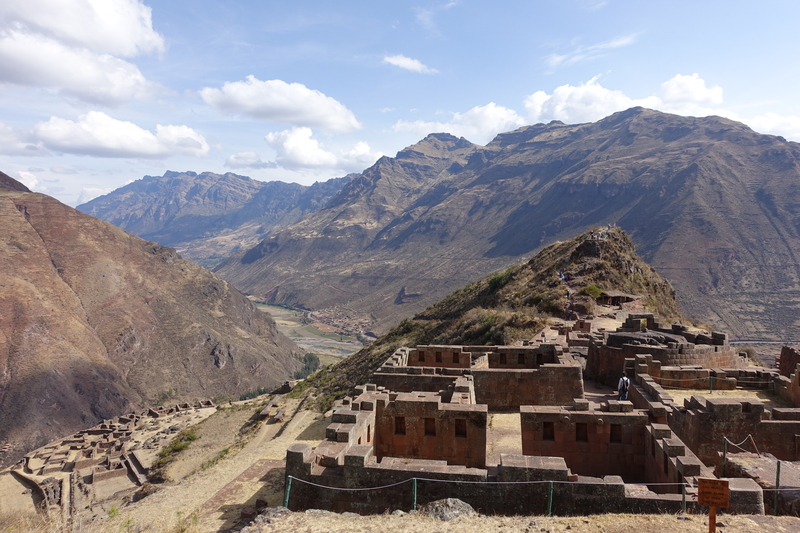 It was straight uphill through a bunch of beautiful Inca agricultural terraces. The views were spectacular. Once we reached the top (see staircase picture and caption), we were ready to catch a taxi to go down. We walked up and down the hills/mountain, trying to find an exit, but we just kept on stumbling upon ruin after ruin. It was exhausting but exciting. At one point, we were at the bottom of a hill and saw a crowd of people at the top. They were all dressed nicely and we concluded they must have all taken a taxi up. We decided our best bet was to ask someone. We slowly made our way up and ended up at Inti Watana. We found some Americans with a book and a map (who would have thought to bring such things!) and they gave us directions on how to get back.